Do We Have Spiritual Warning Signals? I drove my car the other morning, turned it off to get gas and turned it back on. 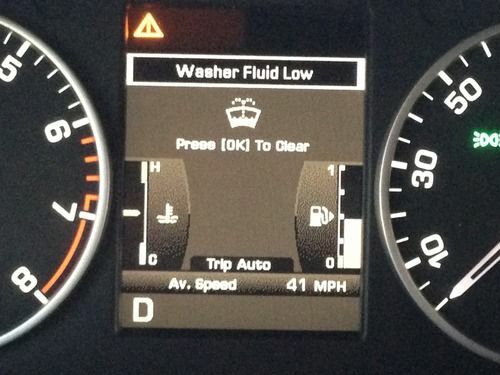 Within those few minutes, either all of my windshield wiper fluid did, in fact, completely empty itself and my right back tire became low on air or the computer within all these fancy gadgets on my car is being finicky again. Regardless of which it is, the warning indicator lights have flashed and now I have to decide how to proceed. Do I call the dealership and make an appointment for service or do I wait a few days to see if somehow miraculously the lights stop coming on and I can go about business as usual? I kept staring at the lights on the dash day after day hoping they would turn off, but they are still there. 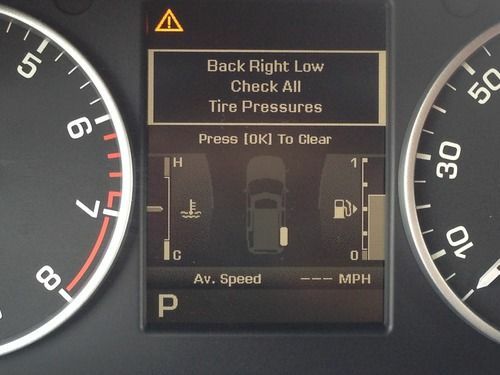 I finally went and got air in the tires, but the warning light is still on. Perhaps the problem is deeper within and requires a visit to the dealership after all. As I stared at the lights all week, I thought about how easy it would be if we, humans, had warning indicator lights that flashed. These warning lights would not only be great indicators for each individual, but also for those who we come in contact with. Everyone would know exactly what the problem is. Warning: person has not eaten in several hours and may be cranky due to low blood sugar! Warning: person struggling with some serious issues. Please be kind, encouraging and patient. Warning: person has not had quiet time with the Lord for close to one week. Proceed with caution! Unfortunately, cars can have these indicator lights because they are inanimate objects while humans are living creatures with a body, mind and soul. How do we know then when our body, mind and soul are in need? I have a few questions I ask myself when things just do not feel right. 1. How is my prayer life? Am I really taking the time to actually sit and converse with the God of all Creation? Or am I just going through the motions so quickly that I cannot hear what He has to say? I talk a lot…sometimes too much… so I am very good at starting a conversation with God. I am really good at writing in my prayer journal. I tell Him how wonderful He is, confess my sin, and thank Him for all He does. I then go into my list of prayer requests…either my own requests or on behalf of others. Then I end it “In Jesus’ Name, Amen.” And then, I close my journal and mentally check the box for the day. I really do not mean to do this, but some mornings, I am just tired. Some mornings I just do not feel like talking to anybody. So, I talk to the Holy One and I know He’s listening, but I never give Him a chance to respond. I walk away from the conversation before He even has a chance to process what He just heard. And then a day or so goes by and I start feeling frustrated. I do not feel frustrated because I believe He has abandoned or ignored me. His Word tells us in Matthew 28:20b, “And behold, I am with you always, to the end of the age.” I believe that. But, I begin to feel frustrated because I have not heard from Him. My prayer life is always the best when I hear from God Himself. He speaks to us through His Word, miracles, signs and wonders (special revelation) and through His creation (general revelation). But I cannot hear from Him if I am not giving Him the time to respond or paying attention when He does respond. 2. How much am I reading God’s Word? Without being legalistic, it is imperative that Christians are digging into God’s Word outside of their weekly church service. Joining a Bible study group or accountability group is one way to get this accomplished. But it can also be simply taking the time to read and dig into scripture by yourself. For me, there is a direct correlation between my mood, behavior and desire to serve and God’s Word. If I am not actively reading God’s Word, I can easily be swallowed up by the trouble and stresses of this world. The Bible is rich and abundant in God’s promises and His love for us. He, like no one else, fills the holes and desires in our hearts. If we are not actively pursuing Him and His inspired Word, we are missing out on the best relationship we could ever have. When you need a word of encouragement, seek His Word. When you need a pep talk, seek His Word. When you need a little tough love, seek His Word. If we fail to read His Word, we are missing out on a tremendous blessing that He has revealed to all of those who believe in the Savior. It is true that the Bible is available to everyone and anyone who wants it, but it is also true that there are mysteries in the Bible that are not revealed until God chooses to reveal them. If we are not spending time in His Word, we cannot get the full revelation of His Word. It effects our minds, bodies and our soul. If we need physical food for our physical health, we also need spiritual food for our souls and minds. 3. What am I doing about my physical needs? Here in the US, we are plain busy. Yes, there are pockets of places left in the US that we can retreat to for solitude, but the lifestyle of the American is to “appear busy.” Somehow we associate lack of busyness with laziness. I chuckle every time we watch one of the HGTV shows, especially the ones where people are leaving wherever they are to seek someplace that is just slower paced. If the majority of us feel over stressed and busy, why can’t we just all get on the same page and buck the system? I like to travel, but I would much rather be able to find a balance here in my own home in lieu of having to traverse clear across the world and live in a foreign country to slow down my pace of life. How can I keep myself healthy then…both physically and with the choices I make that effect me physically? I have to be intentional in saying “Yes” and “No, thank you.” I have to do my best to eat healthy and get exercise…especially since I do not have a physically active profession (I miss my tone arms now that my baby-carrying days are over!). And, I have to allow myself time to rest. In the mid-1850’s, there was a Carmelite Mystic known as Teresa of Avila. She was hugely influential in reforming and founding monasteries in Spain that were focused on prayer. She worked tirelessly. There was a point in her work that someone encouraged her to take a rest. She responded by saying, “Rest, indeed! I need no rest; what I need is more crosses.” In her last years, according to this brief article, her health suffered and on a mission of service, her exhausted body gave out and she died reciting verses from the Song of Songs. Was Teresa of Avila doing good things? God things? Of course, but she did not know when to rest and recharge. We serve better when we have energy. Jesus himself went away from the crowds to get rest. If Jesus needed rest, we need rest too. Without actually having warning lights, we do have warning signals. Learn to listen to your body and to know how the company you are or are not keeping is affecting your choices. Stay alert! Christian History Magazine, 131 Christians Everyone Should Know, 2000 Christianity Today, pp. 265-267.